Dec. 11, 2017 1:30 p.m. 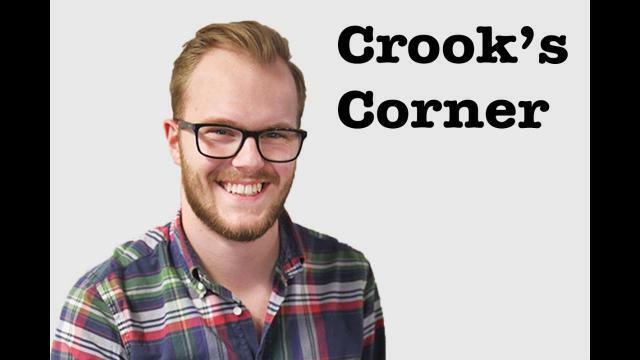 Welcome to Crook’s Corner, a weekly video highlighting a selection of arts and entertainment happenings in the North Okanagan, hosted by The Morning Star arts and entertainment editor, Parker Crook. This week’s episode features three events: The Vernon Film Society screening of Aki Kaurismäki’s The Other Side of Hope, Center Stage Performing Arts Academy’s Ebenezer and SMG Endeavors and Record City’s Friends of the Okanagan Locals Concert Series. VERNON FILM SOCIETY All films screen at the Vernon Towne Cinema, 2910-30th Ave. Dec. 11 is The Other Side of Hope. For regular films, there will be the usual two showings at 5:15 and 7:45 p.m. Doors open at 4:30 p.m. All tickets $7, cash only. Advance tickets available at the theatre and the Bean Scene Coffee House. EBENEZER Vernon and District Performing Arts Centre. Dec. 15 at 7 p.m. Center Stage Performing Arts Academy Presents the classic Christmas musical for the whole family. Tickets are $22, available through the Ticket Seller, 250-549-7469, www.ticketseller.ca. FRIENDS OF THE OKANAGAN LOCALS CONCERT SERIES Record City 3127 30th Ave., Vernon, (250) 503-0038. In partnership with SMG Endeavors, Record City presents the Friends of the Okanagan Locals Concert Series. Dec. 16 at 8 p.m. is Acoustic Noire, Aaron Goodwin and Justin Koshman. Tickets are $10 advance, $15 at the door, $5 for students and free for children 12-and-under for each show.